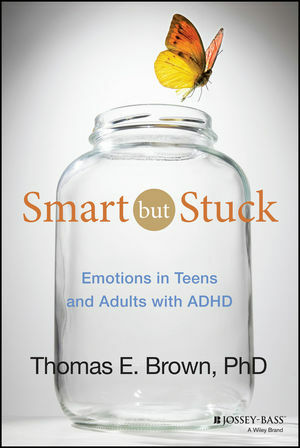 Drawing on the latest research findings, the book describes strategies and treatments for getting "unstuck" to move on to a more rewarding and productive life. THOMAS E. BROWN, PhD, is a clinical psychologist, assistant clinical professor of psychiatry at Yale University School of Medicine, and associate director of the Yale Clinic for Attention and Related Disorders. He is the author of several books including the award-winning Attention Deficit Disorder: The Unfocused Mind in Children and Adults (Yale University Press, 2005), which has been published in seven languages. Visit him at www.drthomasebrown.com. A new understanding of ADHD and emotions; why emotions can be so troubling in the lives of those with ADHD; how the ADHDbrain processes emotions differently; the influences of temperament and experiences on emotions and motivations. How do the emotions of these teens and adults affect their education, work, family interactions, and social relationships? What treatments are useful for helping people with ADHD get unstuck from these difficulties? What can family members, friends, teachers, clinicians, and counselors do to help?